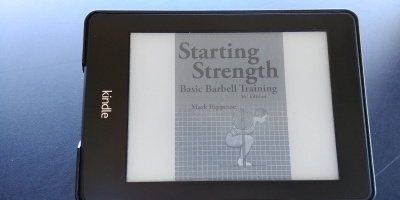 This guide assumes you’re doing the program outlined in the most popular book on novice strength training, Starting Strength by Mark Rippetoe. It also assumes you’re following the book’s program relatively strictly, focusing on 5 basic barbell exercises: the squat, deadlift, overhead press, bench press, and power clean. Should You Be On Starting Strength? Are you still a novice? How do you know? Is it a matter of how much you can lift? The weights you’ll be lifting when you graduate the program varies in a wide range for different people. Very roughly, if you’re benching 225, squatting 315, and deadlifting 405 lbs (that’s 2, 3 and 4 of the “big” plates on each side of the bar, for the unaware), you could be in need of a new program to keep progressing. People like to think they need to move to a more advanced program when there’s no need to. Realistically this may be because they want to be like their favorite athlete who does a complex routine, they want to use their brain more by making things complicated, or because they think they have graduated from novice level by virtue of lifting for years on and off with a bad routine, knowing your way around a gym as well as anyone out there, but not making much progress (hey, that’s me!). If you think you’re stuck, it’s probably because you aren’t eating enough, you aren’t resting long enough between sets, or you aren’t increasing the weight in small enough increments (see our guide to microloading). The bottom line is unless you’re following the principles of the program fairly strictly, you won’t know when you’ve hit a plateau and it’s time to start getting weird. Humans generally all respond predictably (by getting stronger) to the basic principles of this program for months on end. You’ve graduated the program when your body is no longer adapting with increasing strength after you’ve tried adjusting everything. Im not big on paperbacks. Kindle every time. The first thing you need, obviously, is the book. It’s in the third edition. And yes, you do want the third edition. The first edition was targeted towards trainers, but then Rip realized his audience was mostly students learning from the book alone. The second and third editions were written with that in mind and includes updated and expanded instructions on technique and programming. Not reading the book is one of the top 10 mistakes that people make when trying to follow Starting Strength. Also see Rip’s youtube channel. Nothing teaches like examples. For extra help with the details, the startingstrength.com forums are still active. Don’t post a question there without having read the third edition cover to cover and searched the forums a bit for the answer to your question. You’ve been warned. They get tired of endlessly repeated questions. A caveat to all these equipment recommendations: If you’ve already got something, use what you’ve got for now. Don’t wait. Think about upgrading, but while you’re progressing from light weights, really nice equipment is more of a luxury than a necessity. However, the reason I list the bar first is because this is not where you want to cheap out. This is where you want to spend your money, if anywhere. A straight bar, with no rust (tetanus, anyone? ), good spin, and the right design is important. You can have a rusty rack with paint falling off, chipped weight plates, bare concrete floor, and your situation is still pretty good as long as you have a good bar. The bar requirements for Starting Strength are similar to bars for powerlifting or bodybuilding routines. The difference is Starting Strength is a very specific program for novices, and with such specificity it’s possible to outline what the optimal bar would be. You don’t need to go overboard with getting the most expensive bar that people online rave about. The price of excellent bars has dropped in recent years. Plan on spending $250-300. Knurling: A “medium” feeling knurl is best. Crossfitters and olympic lifters prefer soft knurling for high-rep work. Soft is necessary to avoid tearing up their hands. On this program you won’t be doing high reps. There’s also no reason to get knurling that bites into your hands. Any bar with “Texas” in the name comes to mind. You also want center knurling to help keep the bar on your back for squats, but soft center knurling is important so you don’t tear up the front of your neck as you catch power cleans. More and more bars today are not ideal for this program because the Crossfit market prefers no center knurling, due to the emphasis on high-rep cleans. Diameter: 28.5mm to 29mm. Most 28mm bars can get “whippy”. You don’t want it to wobble on you as you’re trying to do a slow, controlled back squat. If you’ve got a really stiff 28mm bar, resulting from high carbon content and high tensile strength, that’s fine. Going up, 30mm will cause your grip to give out on you sooner with heavy deadlifts. So 28.5-29mm is the sweet spot. Rotation: Bushings in the sleeves are better than bearings for this program. Rotation is good for power cleans, but you’re not doing 1RM attempts and you should be able to catch it every time with the less sensitive spin. Too much spin and the bar will want to fold your wrists during presses. Bronze bushings are the best for low-friction and high-durability. Finish: Something grippy. Bare steel or black oxide work. Chrome is perhaps the worst choice, due to its slippery-when-wet properties. The Burgener & Rippetoe Bar 2.0 is Rip’s official recommendation. He and Mike Burgener got together and came up with these specs above for a bar for his program. The USA-made B&R bar version 2.0, named after two of the top strength coaches. It was originally made in 2008 by York Barbell in Canada and sold exclusively by Rogue. It was one of the first bars to feature dual knurl marks. Once Rogue started making all their bars in-house in Columbus, OH, they came out with version 2.0 that I believe is all the same specs as the original but using Rogue’s fabricating equipment and their pretty end caps. I searched around for another bar that matches these specs and gave up. If you know of one, by all means let me know and I’ll add it here. Various types of power racks or half racks can work fine, if you’re careful. The larger, heavier, more expensive ones take away more and more of the “be careful” factor out it by giving you a big safety net. They also have added features that are unnecessary or useless for performing the lifts in this program, such as band pegs, pull up bars, and dip bars. With this program you should not be regularly failing reps. In fact, Rip does not even teach that aspect of training, because he stresses that you should never be failing reps with this program. You should be progressing in small enough increments that you do not fail, and what’s more, you need to feel like you have to get the weight up and not be relying on safety bars because you’re lazy. However, when you’re lifting alone you need some kind of safety mechanism should the worst happen. Therefore, anything without safety arms is a bad idea for most of you. Safety arms/rods will catch the bar just below the bottom of your range of motion, saving your life should you fail a rep. Ergo, you need a power rack or at least a heavy duty half rack with long spotter arms that are engineered to work and not just look like they might. 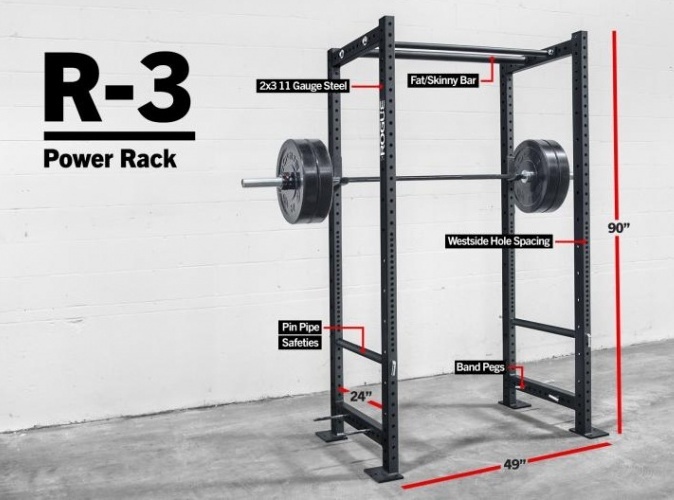 Rip prefers bolt-down power racks like the Rogue R-3. Note that you don’t have to bolt them into concrete. Bolting them into 4’x6’x3/4″ sheet of plywood works too. 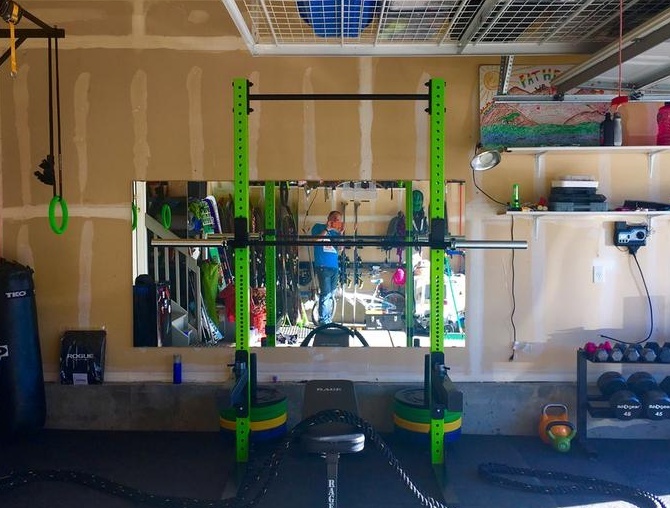 These type of racks are cool because they do not need a rear crossbrace for stability and are completely “walk-through”, letting you position your bench in the perfect spot without the rear crossbrace possibly getting in the way, as can tend to happen with adjustable benches in the incline position. Whether you go into plywood or concrete, it will be extremely stable, more so than a free standing rack of the same weight. As for smaller racks, the Rogue SML-2C is the #1 hot squat stand right now and good choice. No, you don’t have to get lime green. It’s plenty heavy duty enough to trust, as with virtually all equipment by Rogue. Don’t neglect to add the 24″ safety arms! A nice flat bench is all you need. Adjustable benches are more useful for advanced lifters. On a novice program you have to concentrate on the same few lifts and not get fancy by changing up the exercises to incline and decline presses, or you’ll quickly stop progressing. Flat benches are more stable and cheaper. Less to go wrong, too. There’s something to be said for knowing in the middle of your work set that there’s no chance you didn’t lock the adjustable back into position properly, and that there’s very little engineering you need to count on. Not to say that there aren’t perfectly good adjustable benches that you shouldn’t feel safe on. It’s just that it’s much easier to buy into with a basic flat bench. I’ve found that some of the worst cheap benches are the adjustable ones. They’re easier to market, having more features, and that’s about all there is to them, marketing. Cheap squishy foam padding that will bottom out on you, rickety adjustment hinges, and thin gauge steel. The York STS is a good flat bench. The York STS flat bench is stable, heavy, has firm padding, is the right height, has the right pad width to facilitate arm movement… That’s about all there is to a bench like this. Get it. Any will work in a pinch. Here’s the problem. How much are you lifting? How do you know? Are you going entirely off that convincing ’45 LB’ in white lettering on the face of the plate? Try putting a few plates on a scale and you will start to feel mighty strange. Their weight isn’t accurate. That’s just the way iron casting is. The cheaper ones are pretty much all within 5% of the marked weight, but not guaranteed. Do the math and the possibilities as you load multiple plates on either side of the bar get worrisome. When you’re going up in 2.5 lb or 1.25 lb jumps, you have a problem. No, they don’t have be perfect. Even good ones won’t be. 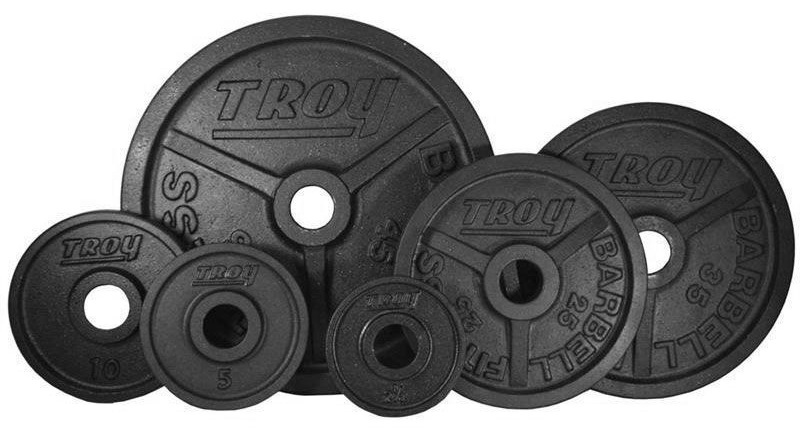 The best all-around choice is Troy’s premium iron plates. They guarantee a plus or minus 2% weight accuracy, machined on all sides to ensure exact dimensions. In reality, they’re going to be well within that weight range, or they would end up serving too many warranty claims or tossing too many out. I’ve never had a customer inform me that the weight is off on these. If you have the budget, get some economy bumper plates. They tend to be really accurate. I guess it’s because there’s less variation in the weight of the rubber molding vs iron. I’m not sure. 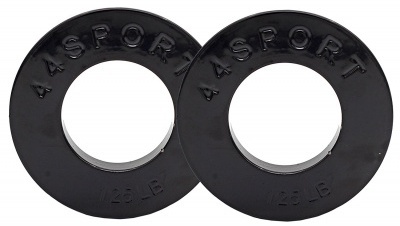 I prefer bumpers because I don’t have to worry about damaging things if I drop the barbell, and all sizes from 10lb up are the same diameter and will contact the floor at the same height no matter what, meaning they’re good for learning the lifts in the beginning and then good forever for warming up. Only problem is once you hit that 405 lb deadlift you’ve dug yourself a hole with econ bumpers. No more room on the bar. But whatever. Cross that bridge when you come to it. Get a couple pairs of iron plates or something. 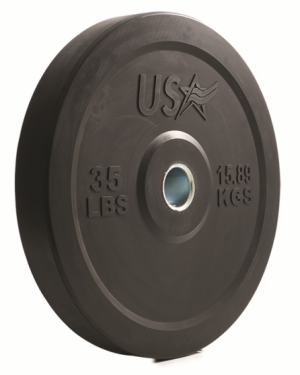 Virtually all plates today only come in 2.5lb increments. 5 lb jumps may be too much for some lifters or some exercises like the overhead press. Luckily, I happened to get a hold of some old 1.25 lb plates with a set I acquired. You probably aren’t so lucky. A short length of chain can also work. See our microloading article for more suggestions. 1/2″ thick rubber flooring is good. 3/4″, even better! EVA or “rubber foam” (ie: not rubber) tiles are garbage. If you’re near a Tractor Supply store, they always have stall mats, 4′ x 6′ x 3/4″. I was told by a store employee that everyone buying them is putting them in gyms, not horse stables. At 96 lbs each, you’re not going to find a the same kind of deal online. Most are sold in large packs. The best deal I have seen online for a small number of mats is XMark’s 1/2″ rubber mats on Amazon. This will get you going. There are plenty of other things you could get as needed for assistance exercises. 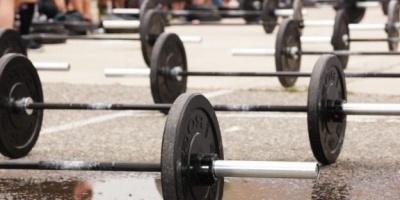 Chalking your hands will help your sweaty hands deadlift more. Belts or wraps, if used right, can protect you from injuries or protect an existing injury. Most important is to learn good form, maintain good form as it gets heavy, and push yourself to go heavier and heavier as you can.